Each year, the month of April is designated as National Fair Housing Month. 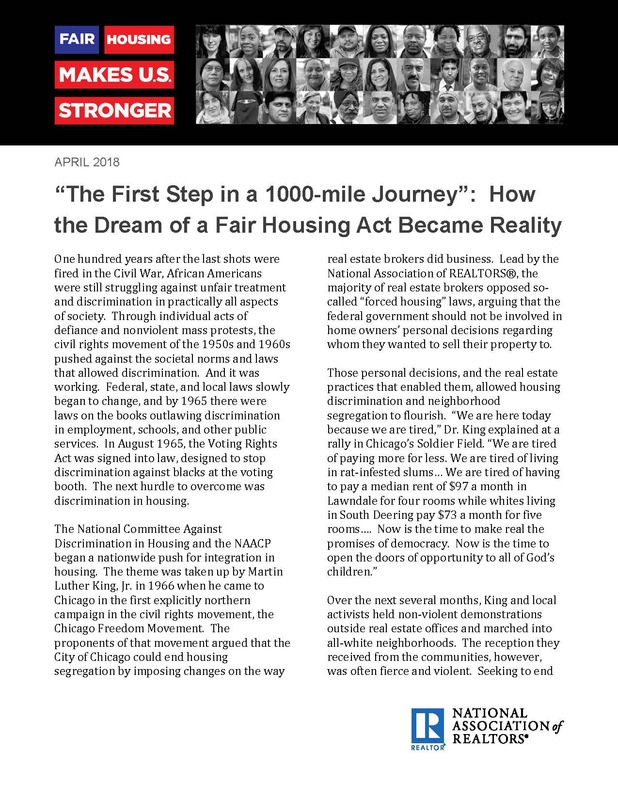 We are continuing our year-long partnership with the National Association of REALTORS® (NAR) in commemorating the 50th Anniversary of the Fair Housing Act. Click here to read the April 2018 article (pictured) from NAR. Click here to read President Donald Trump’s Proclamation. Click here for NAR’s March 2018 article. Click here for NAR’s February 2018 article. Click here for NAR’s January 2018 article. For more information and resources, you can click here or visit www.FairHousing.realtor.